Several bombings in the Iraqi capital Baghdad on Sunday have left 45 people dead and over 120 wounded in crowded markets, commercial districts and car repair shops. In the deadliest attack, a bomb in a parked vehicle in the Shiite Muslim suburb of Bayaa in Baghdad was detonated near car workshops killing seven people and wounding 14, according to police sources. 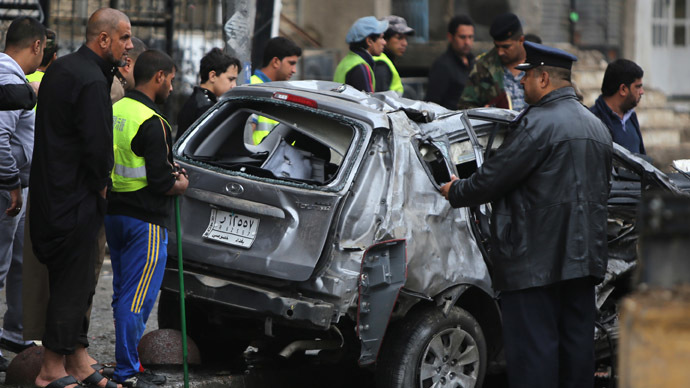 In a separate incident a car bomb exploded in a busy square in central Baghdad killing at least five people and wounding 15. 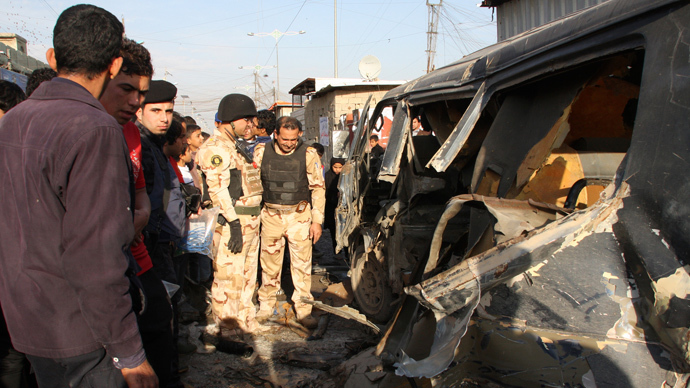 In Radhwaniya, a predominately Sunni area of Baghdad, a roadside bomb killed two people and wounded eight. Other Shiite districts of the city saw more attacks, including Amel, Ghadir, Sadr City and Hussainiya. While in Baquba, 65 km east of Baghdad another car bomb blew up inside a crowded market killing two and wounding seven. 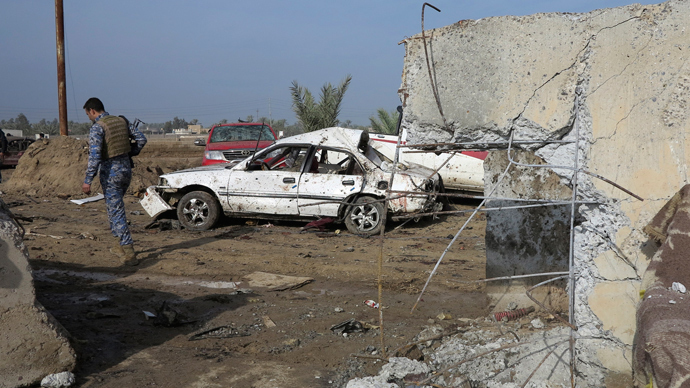 Another four people were killed when a car bomb went off near a line of shops in the Shiite village of Sabaa al-Bour, 30 kilometers north of Baghdad. 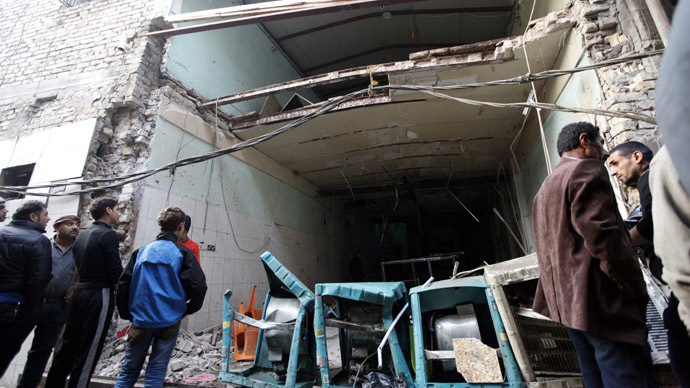 No group has immediately claimed responsibility for the attacks but Sunni Muslim insurgents with links to Al Qaeda have carried out the majority of the bombings in Shia areas. The last wave of large scale bombings was on November 21, and since then there has been a steady stream of smaller attacks. 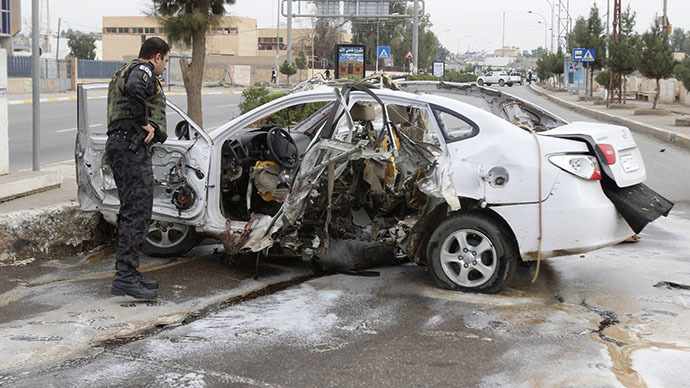 At least 127 people have died in violence so far this month in Iraq according to the Associated Press. Dirk Adriansens, an Iraq activist and author, told RT that Iraqis were better off when they were under some of the harshest sanctions ever imposed on a nation than they are now. “I was there six months after the bombings [the first Gulf War] in 1991, there was electricity, there was the telephone, and there was a fair distribution of rations, so people didn’t die of hunger. But there were basic services, it’s not like the situation now after ten years of occupation there are no basic services,” he said.